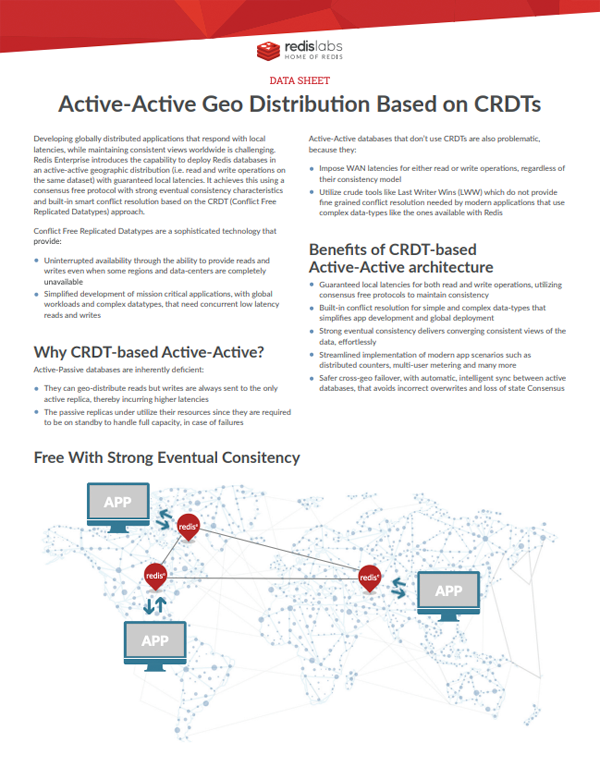 Developing globally distributed applications that respond with local latencies, while maintaining consistent views worldwide is challenging. Redis Enterprise introduces the capability to deploy Redis databases in an active-active geographic distribution (i.e. read and write operations on the same dataset) with guaranteed local latencies. It achieves this using a consensus free protocol with strong eventual consistency characteristics and built-in smart conflict resolution based on the CRDT (Conflict Free Replicated Datatypes) approach.